With over a decade of gas log experience, our certified professionals are uniquely qualified to assist you in choosing the perfect gas logs for your home. These top-rated sets will introduce you to many of the options that are available, including vent type, burner type, size, and log style. Enhance the look of your new or existing gas logs with these must have gas log accessories. 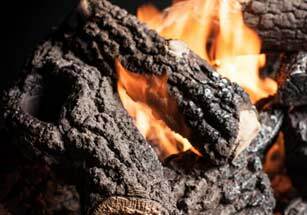 We have the facts on vented gas logs vs. ventless gas logs (also known as "vent-free"). Learn the difference between venting types and how to tell which one is best for your fireplace. 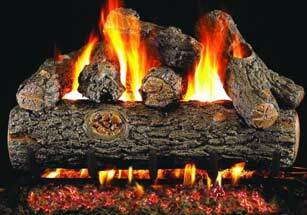 Find the answers to the most frequently asked questions regarding gas logs. Question not answered? Give us a call so our gas log experts can help 877-743-2269. 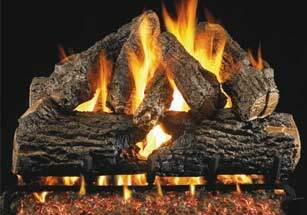 Gas logs come in a variety of wood styles – oak, pine, driftwood, and more. 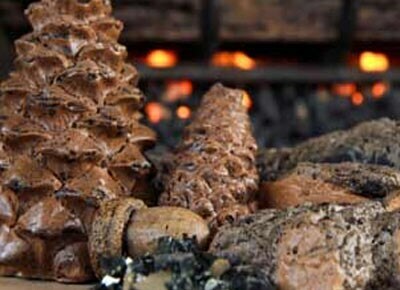 Discover log styles to create the perfect fire in your hearth. We've talked to our customers, and here are a few log sets they have asked us to review and want our expert opinion on. There are a variety of Safety Pilot Kit options available for most gas log sets, and each manufacturer has specific features and functions for their ignition methods. 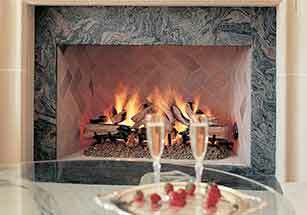 Fireplace fire glass is a great modern alternative to lava rock. Use the Fire Glass Calculator to help determine how much you will need for your fireplace. Turn your fireplace into a masterpiece with gas log accessories and a few extras to customize your own look to match your home's style. 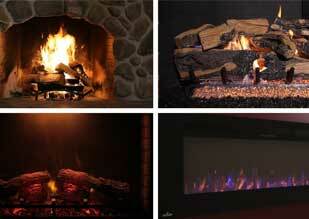 Read on to find useful tips to choosing the most realistic gas log set for your fireplace. Gas Logs provide all of the advantages of having a fireplace in your home without any of the hassles that come with burning wood. What makes these gas log sets different? Let's take a look at the differences in the fuel itself so you can decide which fuel type is appropriate for you. 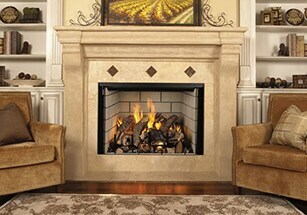 Inviting, warm, and the focal point of your living space, fireplaces have long been a necessity in the home. See our comparisons to determine which one is right for you! We've taken the top gas log brands and compared the warranty details of each one. Take a look and decide which gas log brand is right for you! Learn more about what remote controls will be compatible with your gas logs set in your fireplace. Read on to find out from several brands of remotes, which ones will work with each brand of gas logs. This is were you will find useful information about wall switches that are designed to work only with certain brands of gas logs for your fireplace. 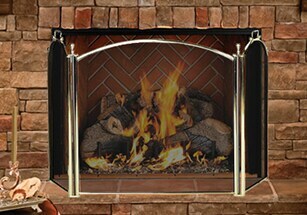 Fireplace fire glass is a great modern alternative to traditional gas logs. Use the Fire Glass Calculator to help determine how much you will need for your fireplace. Fire glass, gems, and geometric shapes can add flare to any fireplace. Included in this list are our most popular contemporary accessories.